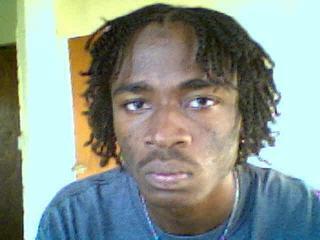 Sebastian “CrabDaug” Legall of MoonBlast Productions in Barbados has been producing music since 2001. He started producing because of his general love for music. His first productions were of the dancehall/reggae nature but within the last two years he has switched to soca music full time. Sebastian Legall has recorded artist as W.C.K (Dominica), Peter Ram (Barbados), Rameses (Barbados) and Mayja Shackie (Barbados) to name just a few. Sebastian Legall at his young age is determined to make a name for him-self in the soca world by producing quality artist and quality tracks. As a tribute to Soca Rebels for their kindness and willingness to work with Moonblast Productions/Sebastian Legall, the riddim on which their song is recorded has been titled after their song thus SOCA FLIGHT RIDDIM. Sebastian Legall came across Soca Rebels website while he was browsing the internet . He sent an email to Lars Hansson and asked if Soca Rebels would like to write a song for Sebastian’s Riddim. The riddum immediately gave good vibes and inspiration for a song and so Soca Flight was born. The vocals was recorded over a backing track on mp3 sent over the internet! The vocals was then posted to Barbados where Sebastian Legall mixed the song. Soca Flight was released for Cropover in Barbados 2005 on a compilation CD called “It Is Cropover”. In 2006 it was time again for another song for another riddum. The song Hold Me Tight was released together with Soca Rebels own recording of Soca Flight now called Soca Flight (Airport Version). The name of the album is “It Is Crop Over Vol. 2”.